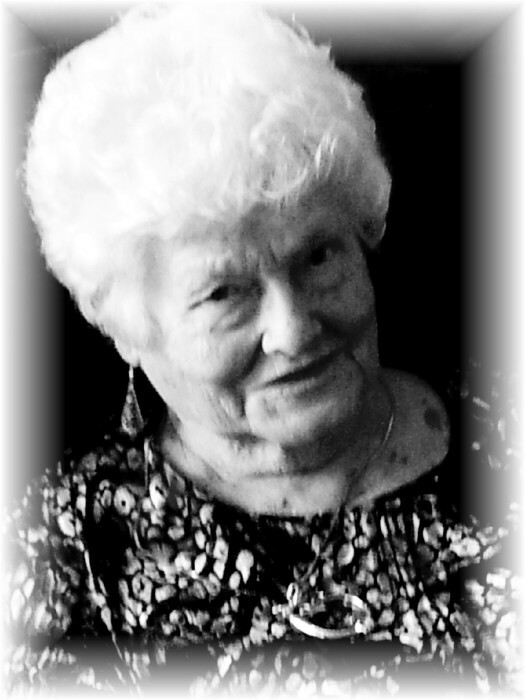 It is with heavy hearts that the family announces the passing of Vera Ott at her home, with family by her side, on Sunday October 28, 2018, aged 88. She is at peace. She will be lovingly remembered by her children, Debra (Roy), Dennis ( Donna), Terry (Scott) and Craig. Her six grandchildren Jeff (Deanne), Marla (Justin), Brock, Tara (Sherri), Jenna (Jeff), Krista (Kevin) ; nine great-grandchildren Mackenzie , Madison, Sam, Rowan, Marcus, Shepherd, Lumen and twins Phoenix and Heron. She was predeceased by her parents Harold and Charlotte Wellard. Vera was born in Calgary but was raised and lived in Winnipeg. She attended Assiniboine School, Britannia and St James Collegiate. She worked hard to raise her children and went back to school when they were young to provide a better life for them. In her younger days Vera was quite the seamstress as she sewed clothes for kids and aprons and Barbie clothes to sell. The monies were used to buy presents for her children. She then turned her artistic talents to paper-tole and knitting. Her children and grandchildren were the recipients of her crafts. Vera was well-loved and incredibly generous to all that knew her. She lovingly supported all of her family in everything they did. Vera thoroughly enjoyed playing Scrabble with friends and family. She introduced grandchildren to past eras through Shirley Temple and Al Jolson movies. She loved watching sports particularly the Blue Bombers and the Jets. Over the last few years Vera lived in the same home as her son, Craig. He did a tremendous job helping her through many health issues. Special thanks to Sandy Gamble, a life long friend who was always there for mom. She will be sadly missed by all. If so desired, donations in Vera's memory may be made to the Kidney Foundation of Canada or to the Canadian Liver Foundation. Cremation has taken place and a private family celebration has been held.